I’ve spent the last week looking everywhere—fruitlessly—for a bag of rocks. A particular bag of rocks. The rocks are supposed to go in the bottom of the glass vases that I use for growing paperwhites. I bought the paperwhite bulbs, but the rocks refuse to show themselves. And as for the vases, I know that one of them succumbed in the move. I found another one down next to a bottle of molasses in the back of the pantry. The other two have gone the way of my bag of rocks. All of this makes me think that it’s pretty pointless to keep a bag of rocks and four glass vases for one particular purpose, once a year. But I do like my paperwhites. Despite the stubbornness of my bag of rocks, things continue to float slowly towards the surface. 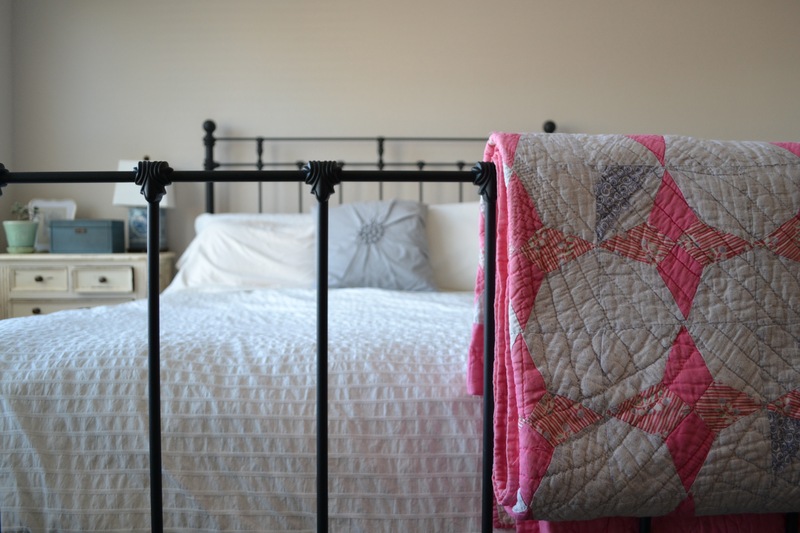 My favorite vintage quilt has reappeared and landed on the foot rail of the bed. If you look closely, you might be able to tell that the silver picture frame on my bedside table doesn’t actually have a picture in it. Progress is slow. Last week, in a fit of cleaning inspired by our return from a month away and a break in the week of freezing, miserable weather, I opened the windows and washed all of the bedding on the “Allergiene” cycle of our new washer. And then, of course, a parade of cats made themselves at home on the duvet cover, leaving a trail of indented paw prints like a path through snow. 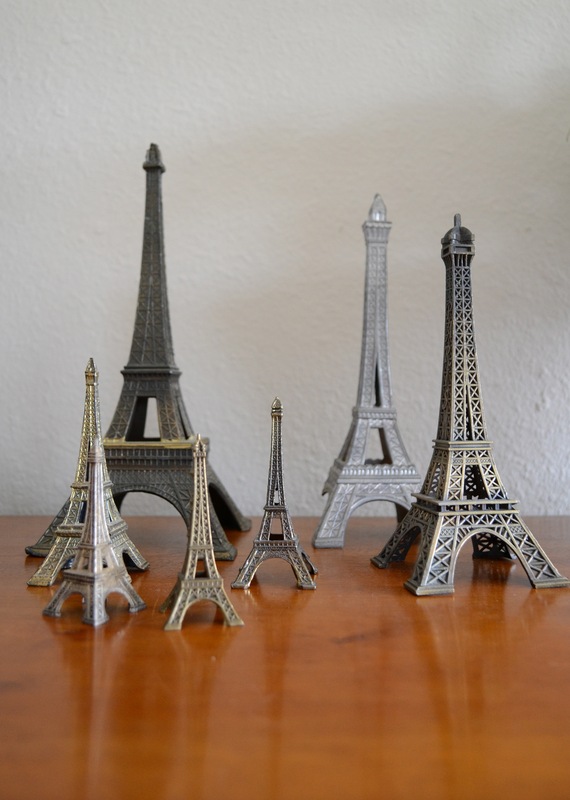 My Eiffel towers revealed themselves at the bottom of a box that has been languishing in the garage (so much bubble wrap remains to be recycled). I’m not sure where the fourth leg of that silver one in the back has gone to—it’s been separate for as long as I can remember. My great-uncle brought that one back after the war (presumably with all its legs intact at that point). The others are a combination of flea market finds and my own two trips to Paris. Now if only I could find a place to put my typewriters.